Back in January, Southern Draw Cigars announced its first major release for the 2018 calendar year – a lancero size for its Rose of Sharon line. Rose of Sharon is an Ecuadorian Connecticut Shade offering that had a very limited release just before the U.S. Food and Drug Administration (FDA)’s August 8, 2016 deadline before pre-market approval would be required. The widespread release of Rose of Sharon occurred in 2017 with three sizes (Robusto, Toro, and Gordo) introduced into market. The release of Rose of Sharon would garner both critical and commercial acclaim and would play a big role into Southern Draw Cigars capturing our Cigar Coop Award for Small Company of the Year. 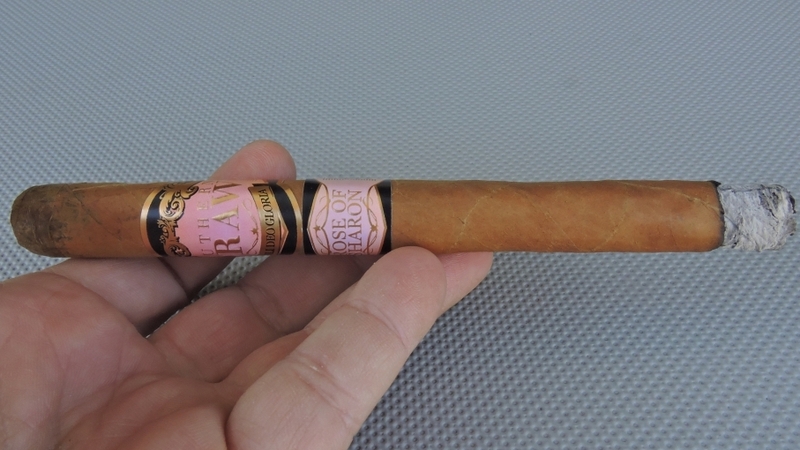 Today, we take a closer look at the Rose of Sharon Lancero. Lancero sizes are nothing new for Southern Draw Cigars, as two years ago the company introduced lancero line extensions to two of its other lines with the Firethorn Pome Lancero and the Kudzu Axil Lancero. 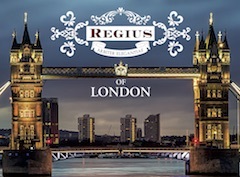 However, with the Rose of Sharon Lancero, the company took a slightly different approach for its official launch – the first batch was offered as an exclusive cigar to Famous Smoke Shop. 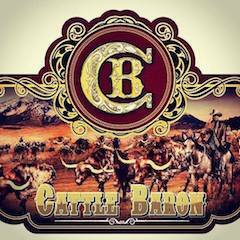 This approach is something the company started doing with the release of Southern Draw’s QuickDraw Corona Gorda line extensions. 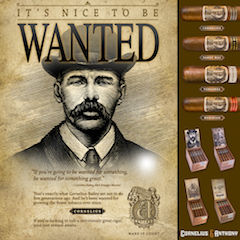 But like the QuickDraw line extensions, it didn’t take long for a nationwide release of the Rose of Sharon Lancero to its authorized retailers. The naming of the Rose of Sharon keeps consistent with the company’s theme of naming its premium core lines after flowering plants. The name is also a tribute to Sharon Holt, the wife of Southern Draw Cigars’ Chief Evangelist, Robert Holt. 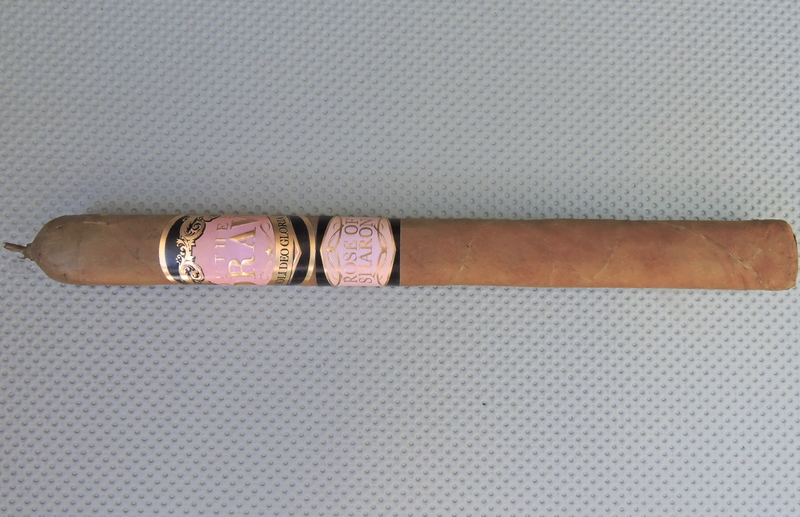 Without further ado, let’s take a closer look at the Rose of Sharon Lancero and see what this cigar brings to the table. The Rose of Sharon consists of an Ecuadorian Connecticut shade wrapper over a Nicaraguan binder and a combination of Nicaragua and Dominican fillers. 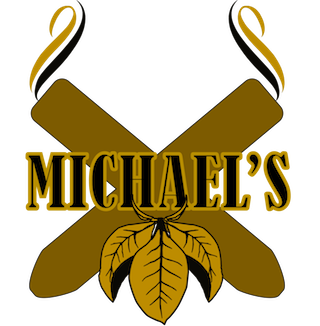 As with all Southern Draw Cigars, the Rose of Sharon is produced at AJ Fernandez’s Tabacalera Fernandez factory in Estelí, Nicaragua. 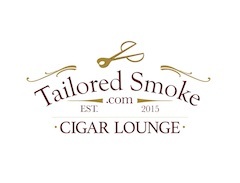 At this time, the following five sizes are being made available for Southern Draw Cigars’ Rose of Sharon. All these sizes are available in a semi-box pressed format, with the exception of the IGNITE Perfecto. Other potential sizes for future widespread distribution include a Belicoso (5 1/2 x 50) and another perfecto size (5 x 58). 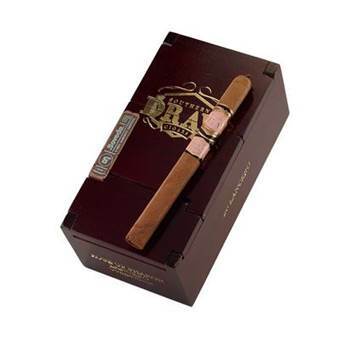 The Rose of Sharon Lancero size is presented in 20-count boxes. 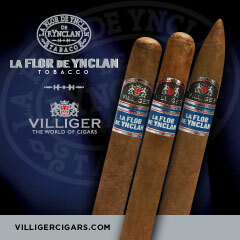 The 6 1/2 x 40 size is slightly shorter and thicker than the classic 7 1/2 x 38 lancero size. 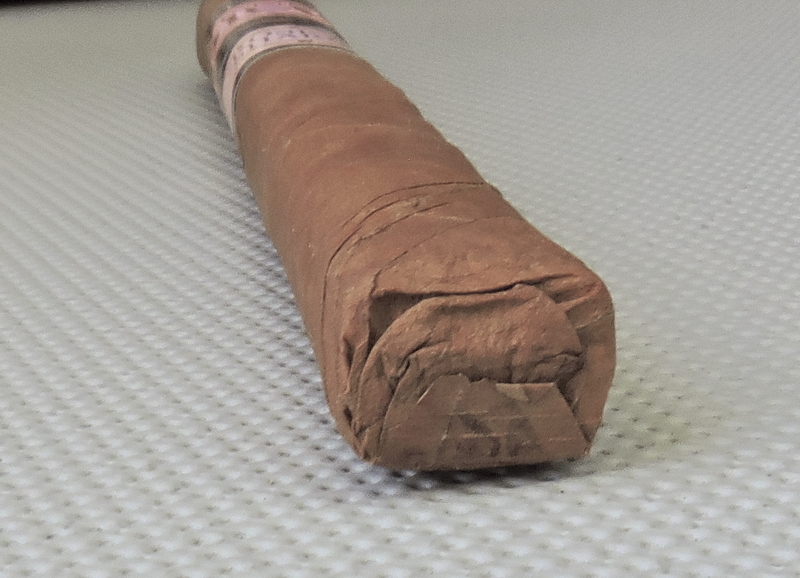 The Ecuadorian Connecticut Shade wrapper of the Rose of Sharon Lancero had a light brown color to it. This was a wrapper with a silky complexion and some light oil on it. Any visible veins were on the thin side and the cigar itself was nearly void of any visible veins. As mentioned this is a semi-pressed cigar – with slightly rounded edges. The Rose of Sharon Lancero also featured a covered footer and was finished with a thick pig-tail cap. There are two bands on the Southern Draw Rose of Sharon. 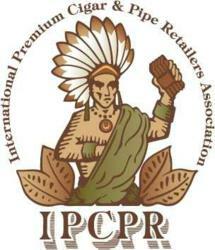 The bands incorporate the new coloring scheme introduced at the 2017 IPCPR Trade Show. The primary band has a pink background with a black and gold frame. On the band is the text “SOUTHERN DRAW”. Below the text is a gold ribbon-like design with the text “SOLI DEO GLORIA” (which is Latin for Glory to God alone) in a thin dark black font. The remainder of the band has gold adornments. On the left side of the band is the text “AGED” while on the right side of the band is the text “HAND MADE” – both in black font. There is also a secondary band located just below the primary band. This features the text “ROSE OF SHARON” in gold font which sits on a pink colored background with black trim around the edges. There are also gold adornments surrounding the text. As opposed to pulling off the pig-tail cap of the Rose of Sharon Lancero, I opted to place a straight cut to remove both the cap and the pig-tail. It was then on to the pre-light draw stage. The dry draw produced a mix of cream, wood, and a slight berry note. I considered this to be a satisfying pre-light draw. At this point, I was ready to light up the Rose of Sharon Lancero and see what the smoking experience would have in store. The start to the Rose of Sharon Lancero kicked off with notes of red pepper and cream along with the same subtle berry note I detected on the pre-light draw. Early on, the pepper notes subsided and some cedar notes surfaced. As the flavor profile took form the cream, berry, and cedar notes were primary. The berry and cream combination didn’t taste like dessert, it very much had a “natural tobacco” quality to it. Meanwhile, the red pepper settled in the background. Concurrently, there was an additional layer of black and red pepper on the retro-hale. Later in the first third, the cream notes receded, leaving the cedar and berry in the forefront. As the cigar experience of the Rose of Sharon Lancero progressed to the second third, the cream notes joined the red pepper receding into the background. Toward the midway point, the pepper slowly increased, and the cream notes slowly began to dissipate. By the last third, the berry notes remained primary. The red pepper was pretty much in the forefront while the cedar notes moved into a secondary role. Most of the creaminess present early on had now dissipated. This is the way the flavor profile of the Rose of Sharon Lancero came to a close. The resulting nub was slightly soft to the touch, but cool in temperature. Construction-wise, the Rose of Sharon Lancero shines. This is an extremely well-constructed box-pressed lancero. Ecuadorian Connecticut wrappers are quite delicate, but there were no adverse effects from the box-pressing. The excellent construction translated to the burn and draw attributes. The burn of the Rose of Sharon Lancero maintained a straight burn line as well as a straight burn path from start to finish. The resulting ash was firm with a light gray color. The burn rate and burn temperature were both ideal. The draw to the Rose of Sharon Lancero performed quite well. It had a nice balance of openness versus resistance. For a box press, I liked that this draw wasn’t too open or loose. 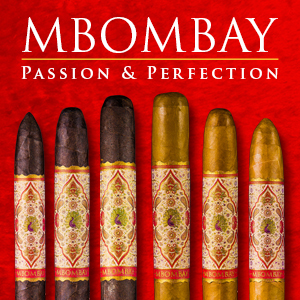 From both a strength and body perspective, the Rose of Sharon Lancero is going to be on the low end of medium. I didn’t find much in the way of variance of the intensity level on either attribute. The strength and body of the Rose of Sharon Lancero balanced each other nicely with neither attribute overshadowing the other. Comparing this to the larger ring gauge sizes, I found the Lancero to offer a little more strength, but a little less body. 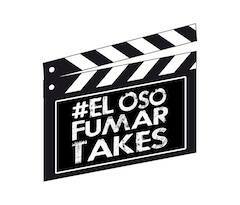 The story of the lancero in the U.S. market is well-known – they don’t sell, but they have the most passionate fan base. I’ve long taken the position that the lancero is not the greatest thing since sliced bread. 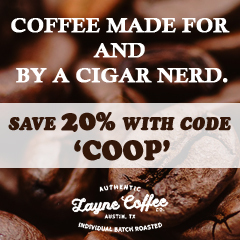 Some blends work in a lancero – and many do not. In the case of the Rose of Sharon Lancero, the blend is terrific. It’s a testament to the blending that has taken place with the Rose of Sharon, because I can also say this blend has worked excellently in the 60 ring Gordo. While I did find the firsttwo-thirdss of the Lancero to be more enjoyable than the last, this is still a blend that exceeded expectations. 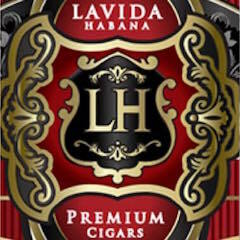 All things considered, this is a cigar that I would recommend to either the experienced or novice cigar enthusiast. 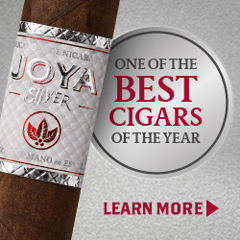 As for myself, it’s a cigar I’d reach for again – and one that I would recommend a box purchase of. Listened to the Steve Saka podcast. Connection problems aside…I stayed with it. Loved the interview. I just had the sobremesa a few days before the interview. Love that cigar. Anyway, great job on the interview, loved it. And Steve, keep up the great work. Wish I could have made it when you were here at club humidor.